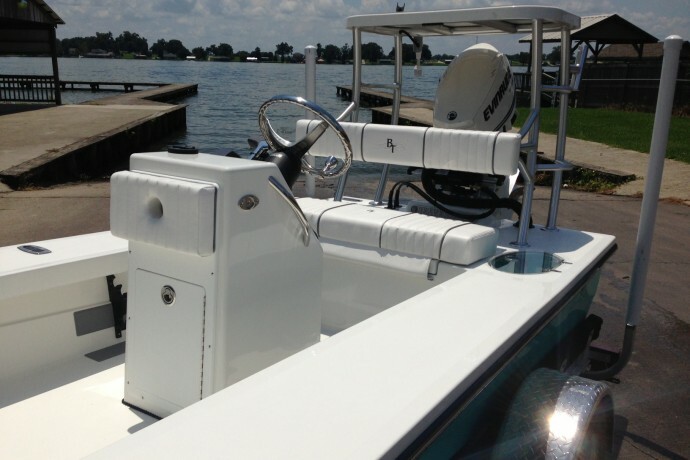 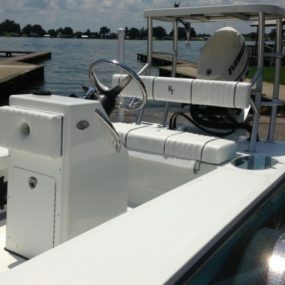 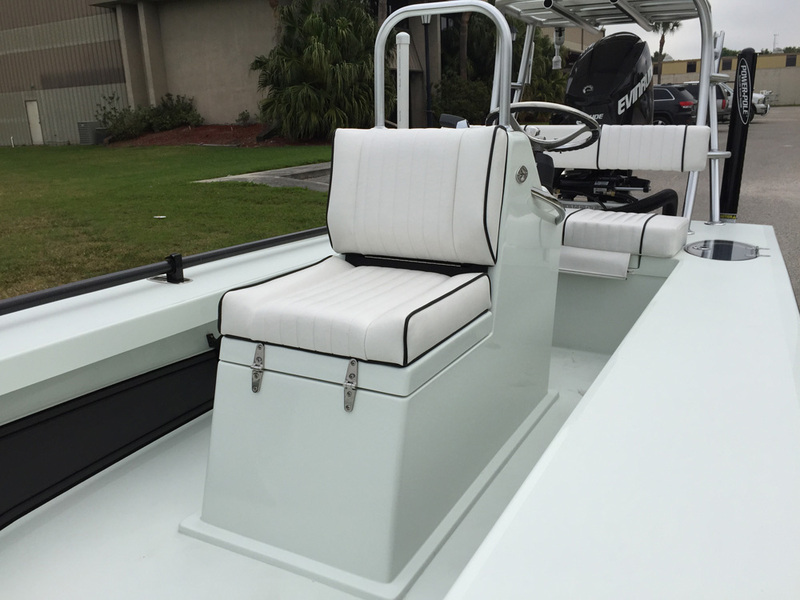 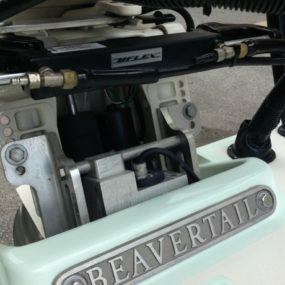 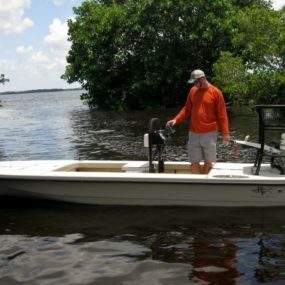 This third generation Beavertail was designed to deliver ultra-shallow performance, tons of storage and the driest ride among technical poling skiffs on the market. 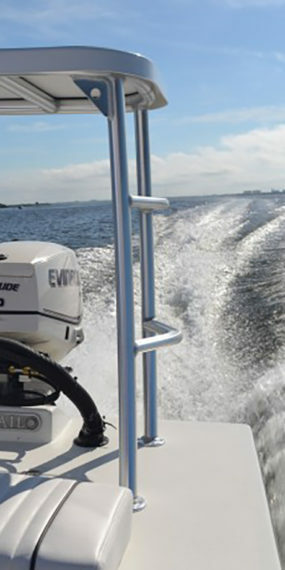 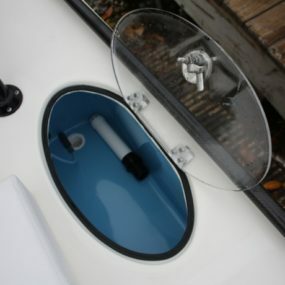 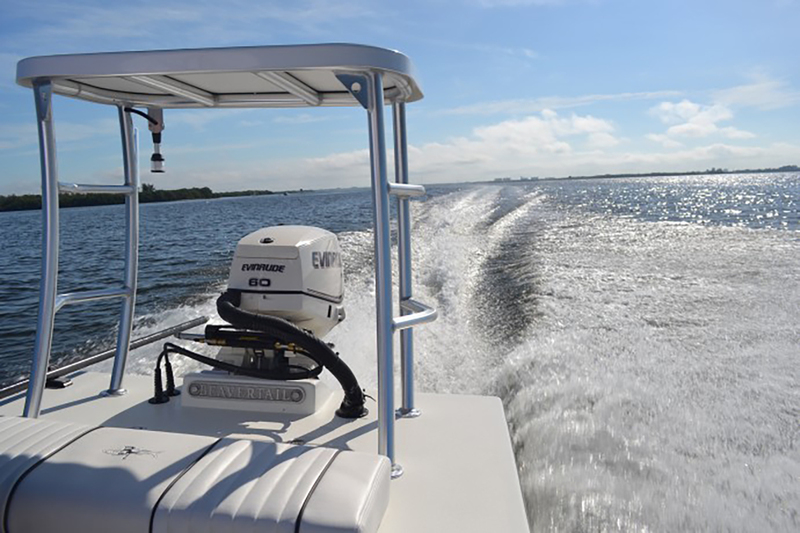 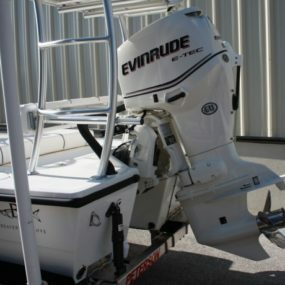 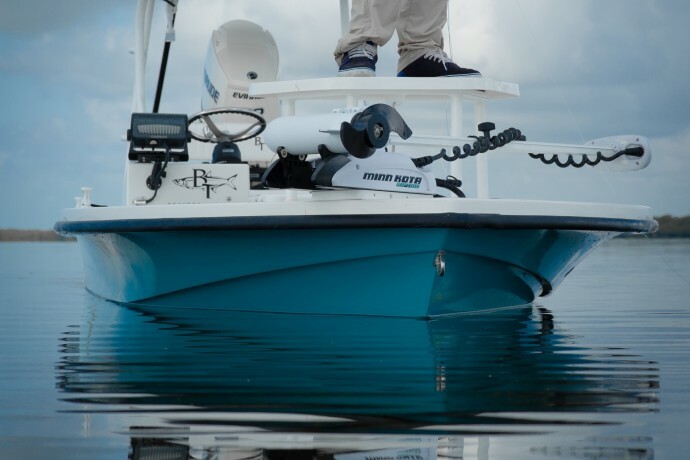 Rated for up to 90 horsepower and with its unique semi-tunnel hull, this boat can race across the skinniest flats without leaving you high-and-dry. 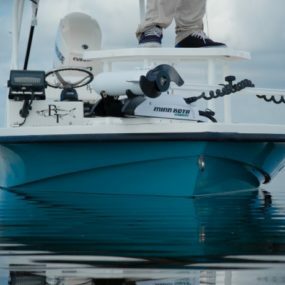 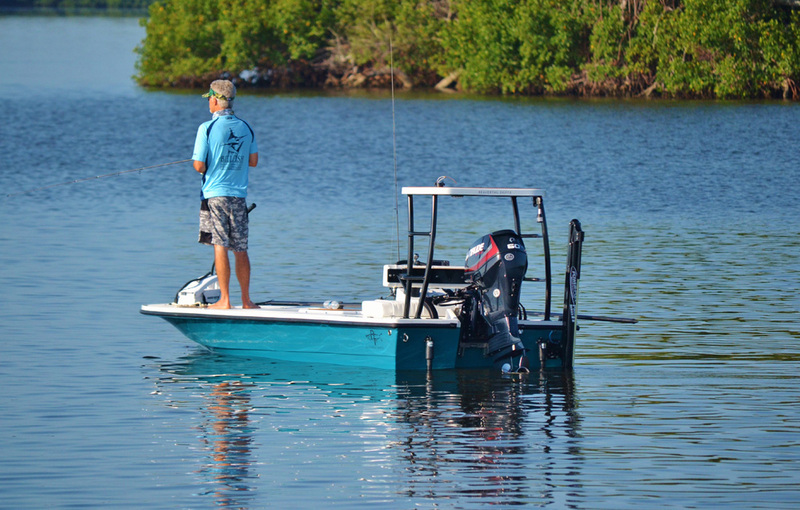 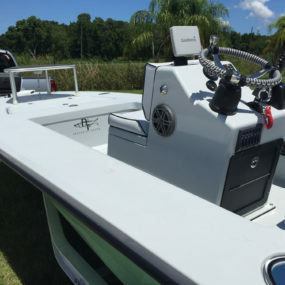 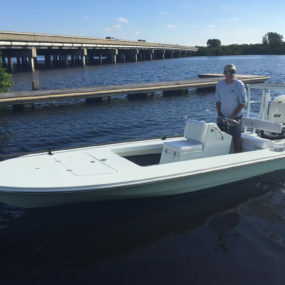 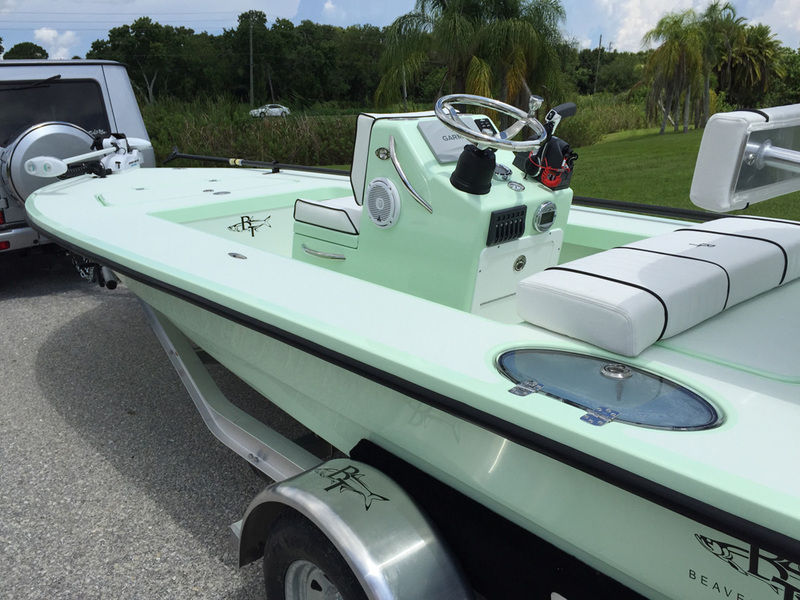 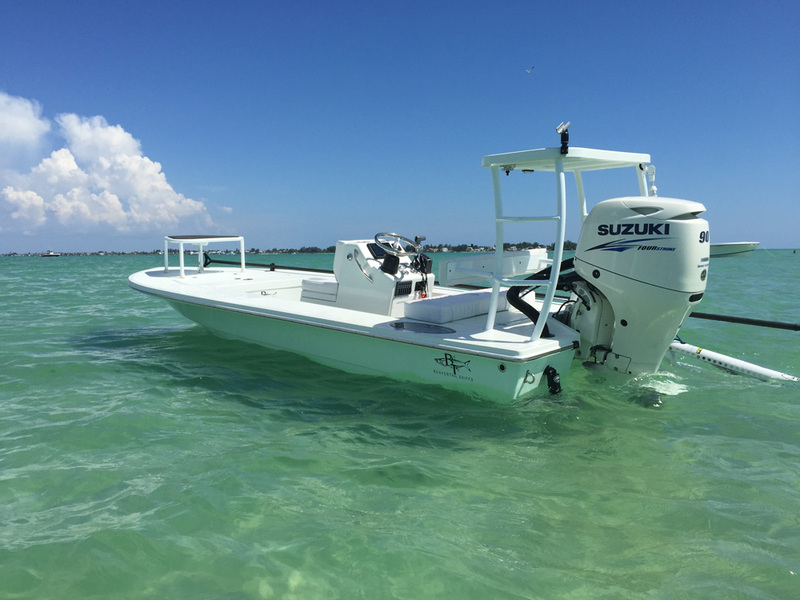 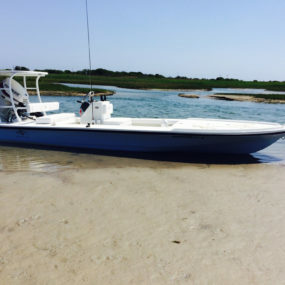 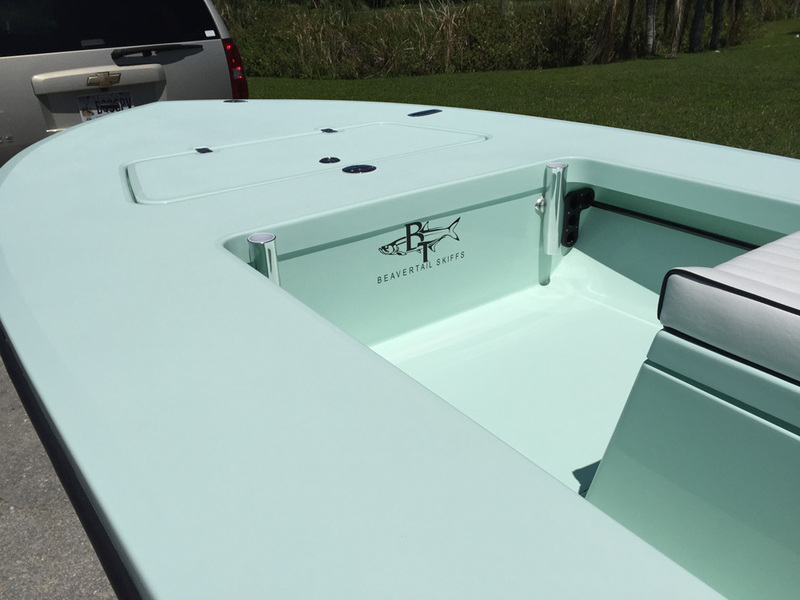 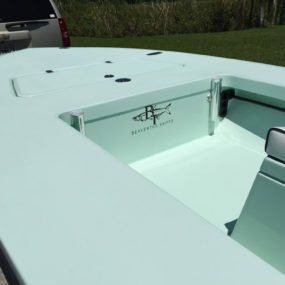 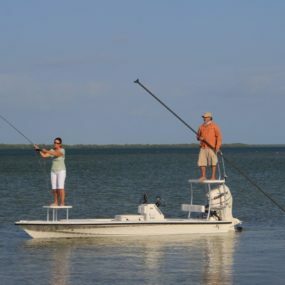 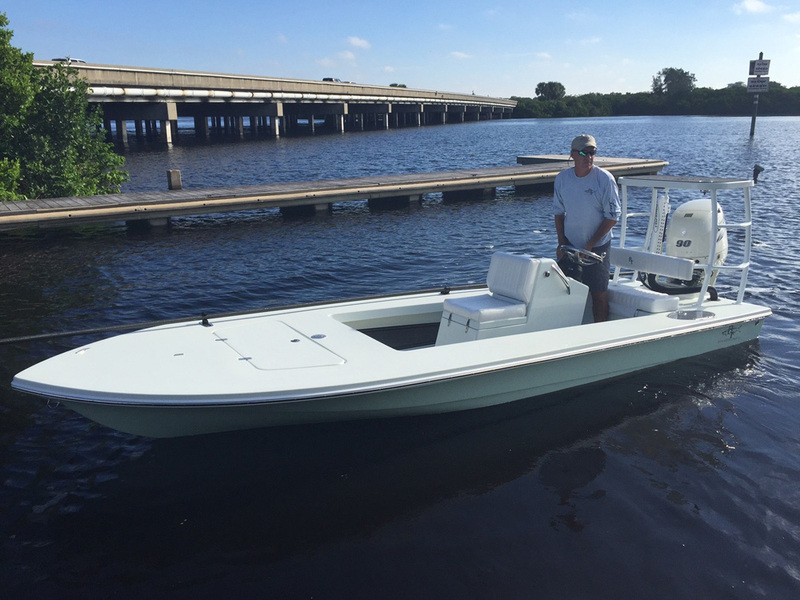 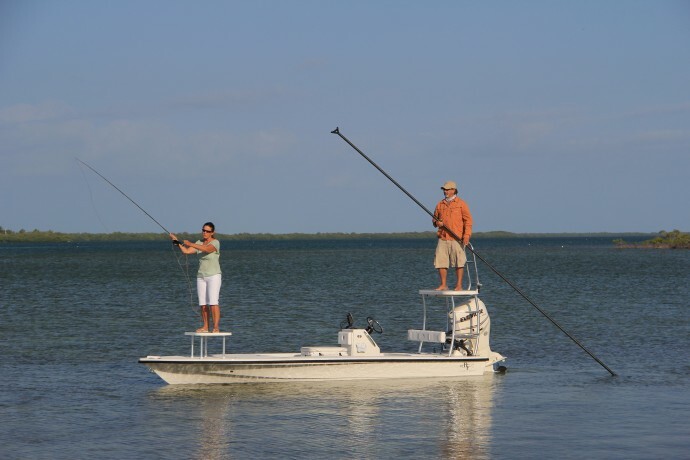 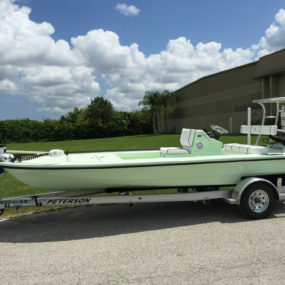 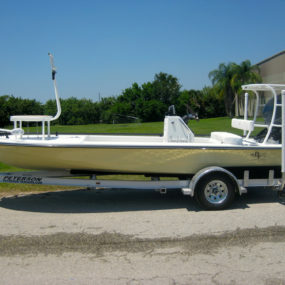 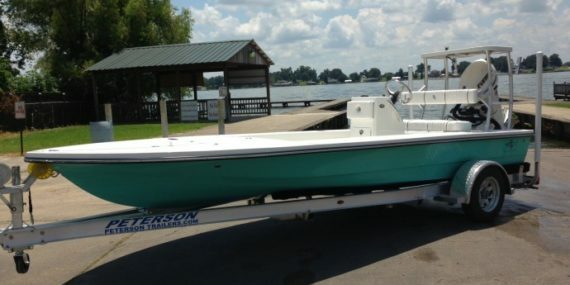 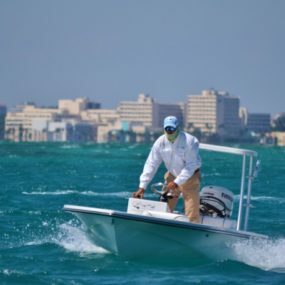 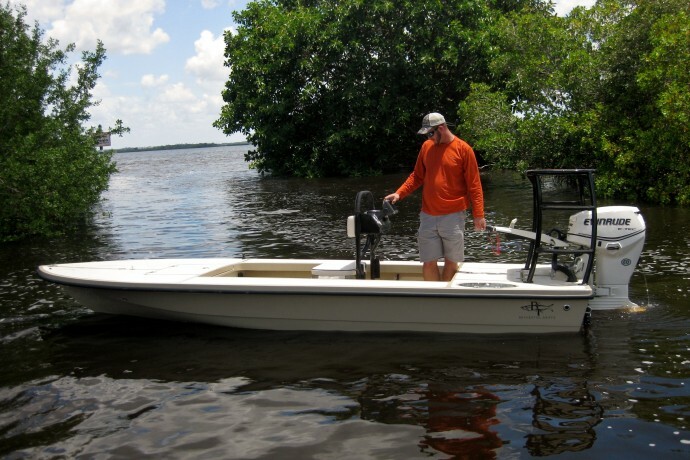 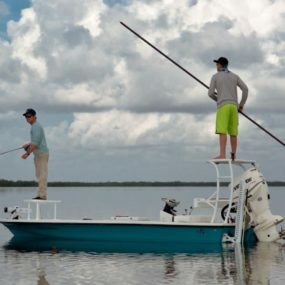 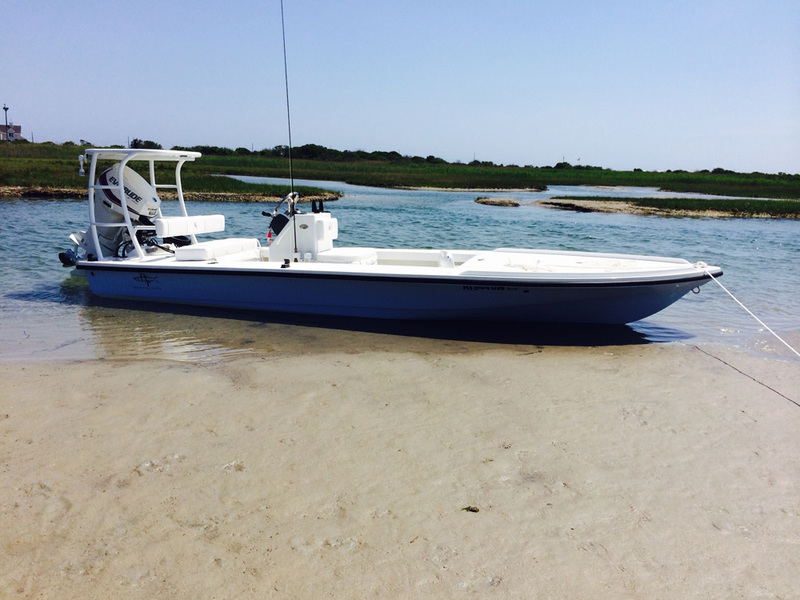 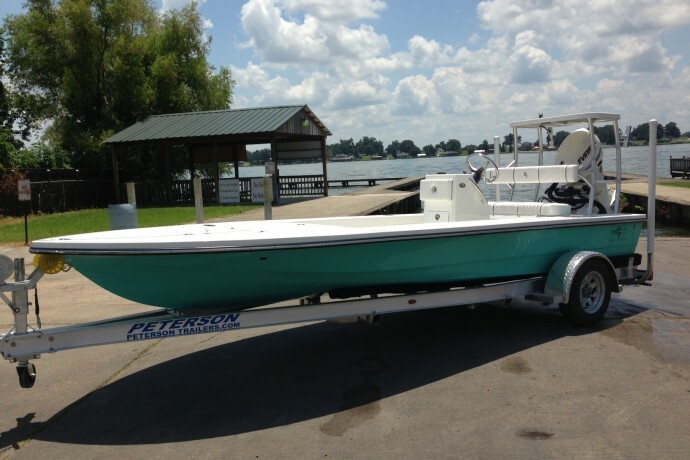 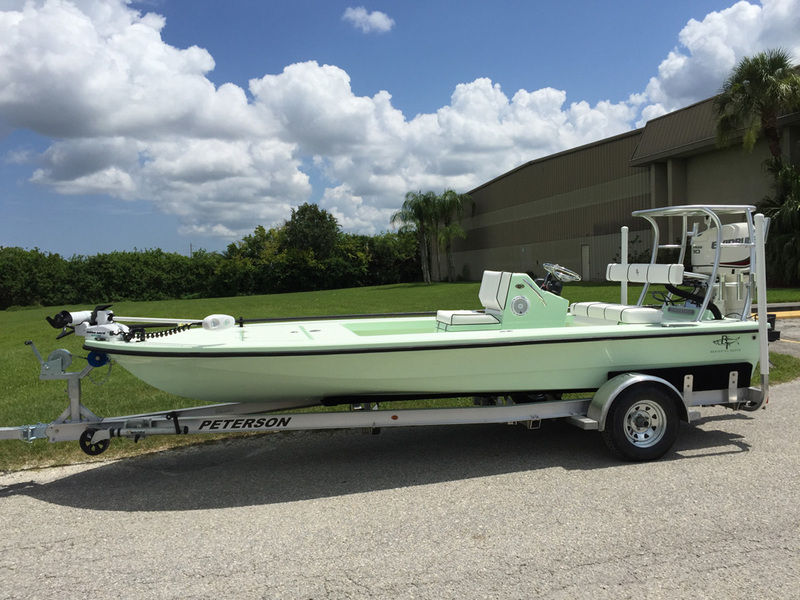 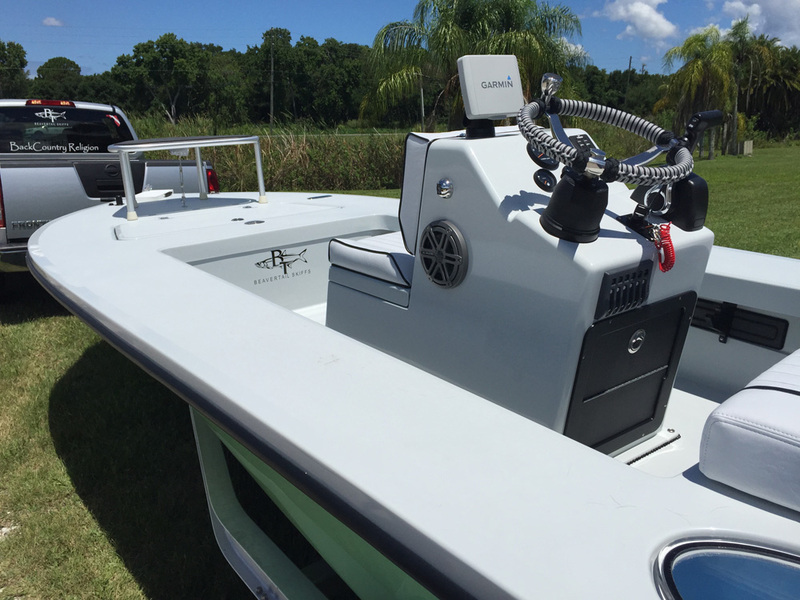 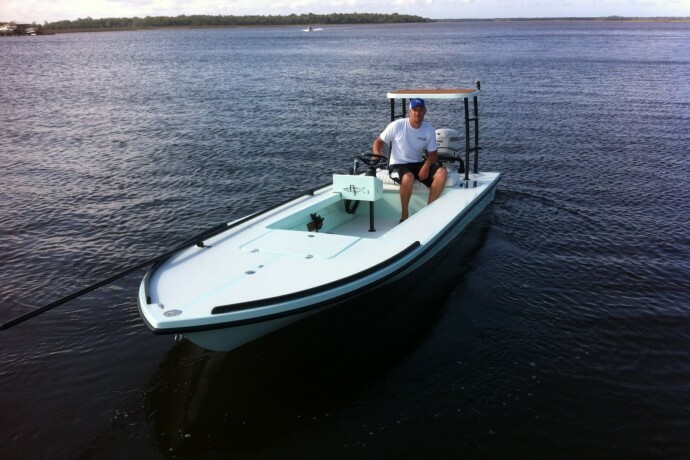 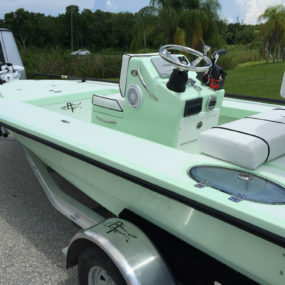 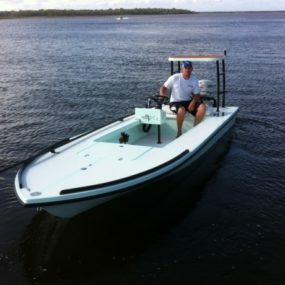 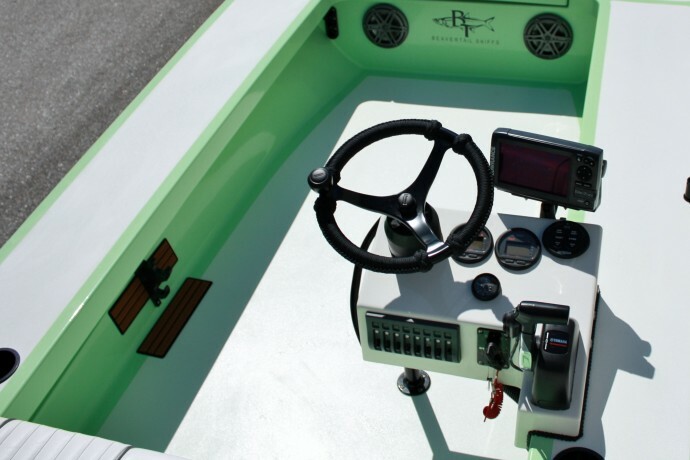 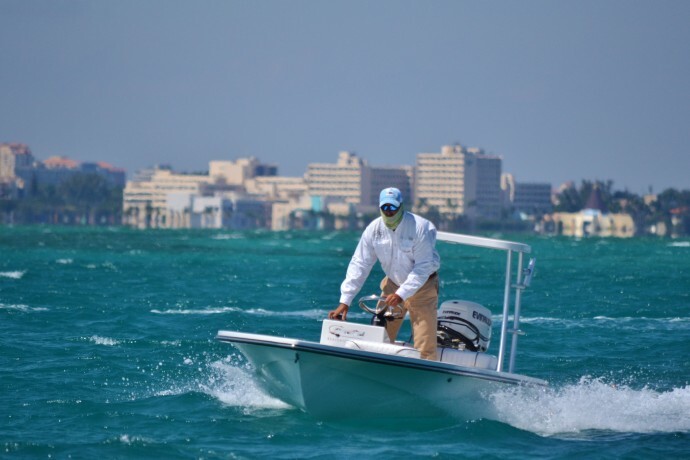 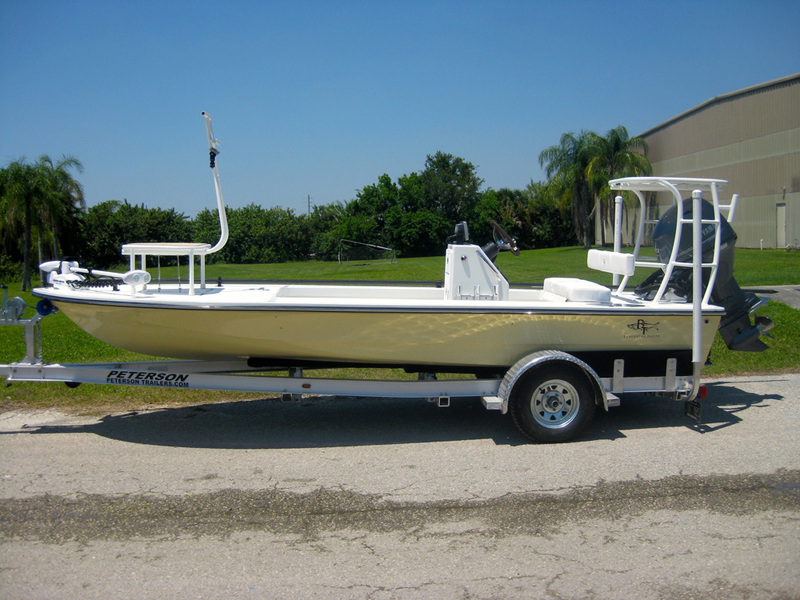 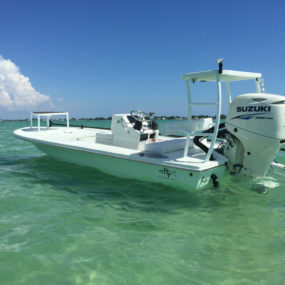 Paired with its huge flared bow, inspired by Carolina sport fishing yachts, the Beavertail Strike is the driest technical poling skiff on the market today. 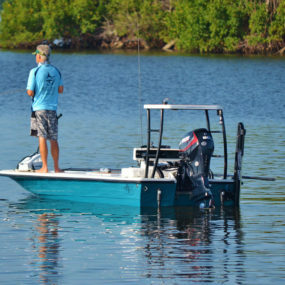 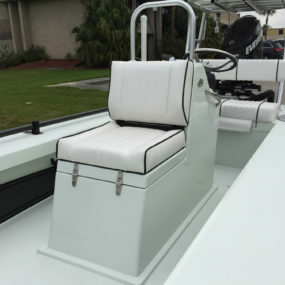 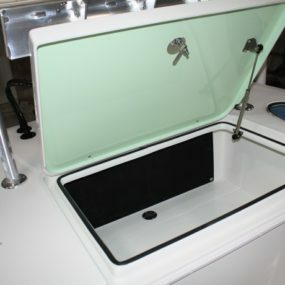 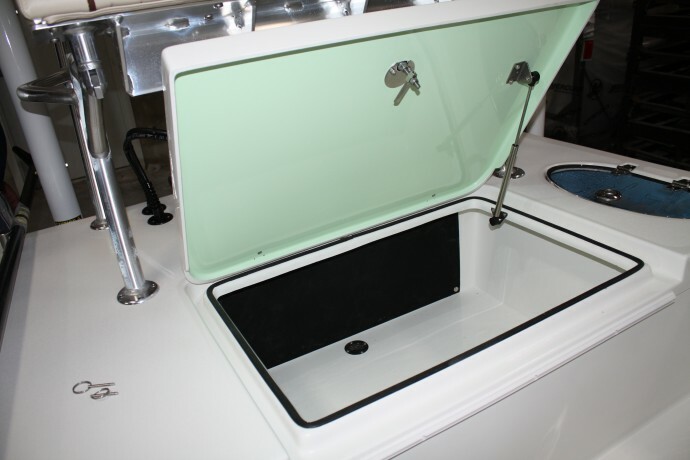 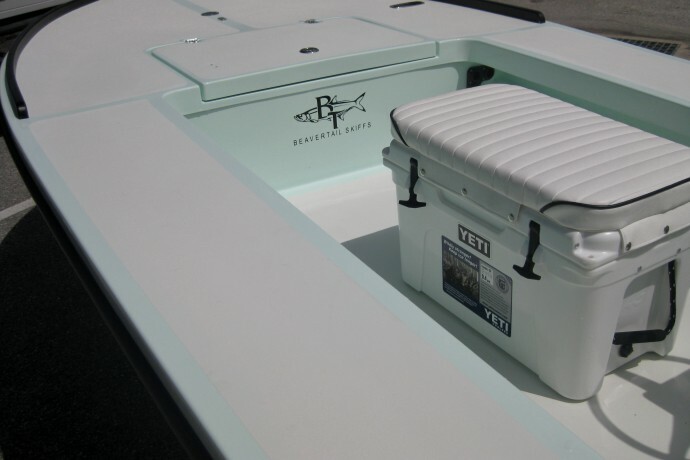 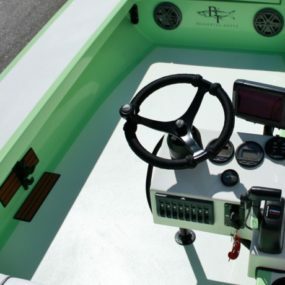 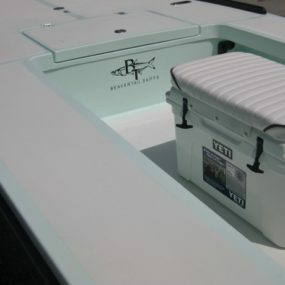 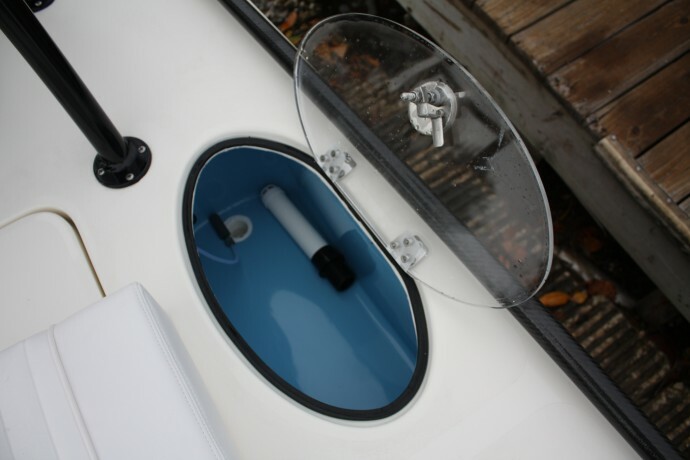 With a growing demand to produce skiffs, which can easily fit and be stored inside a garage – the trailered Strike measures in at an overall length of 19’5″ with the optional break-away tongue on the trailer. 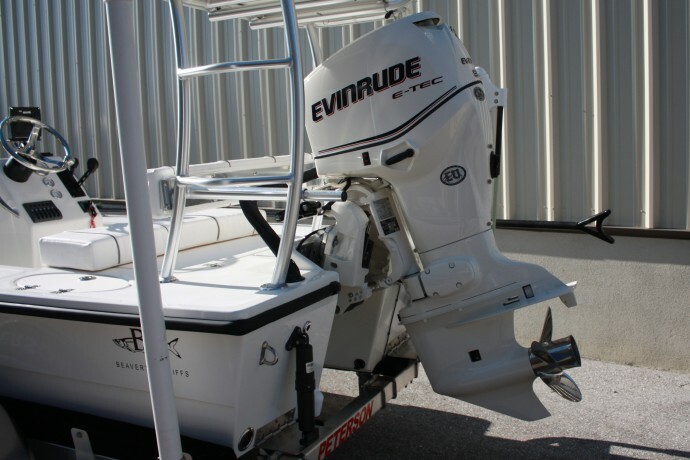 And it can be towed to the ramp by just about any vehicle. 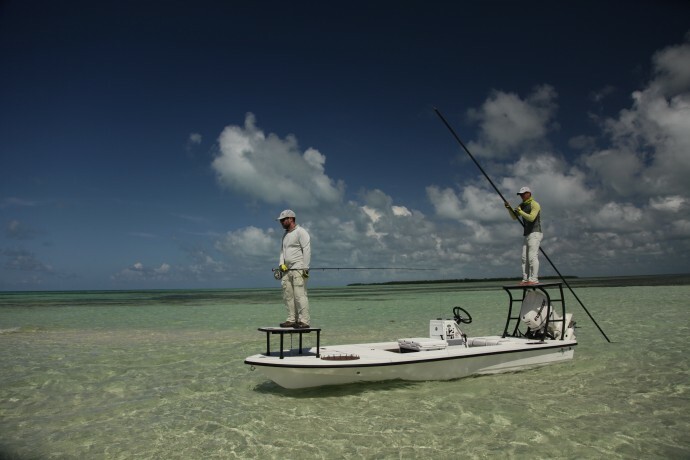 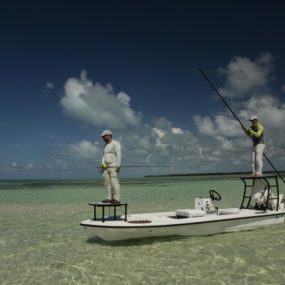 We consider the Strike the Swiss Army Knife of the Beavertail arsenal and was designed to be able to fish the rough oceanside conditions during the annual tarpon migration or just as easily run and pole shallow, backcountry flats. 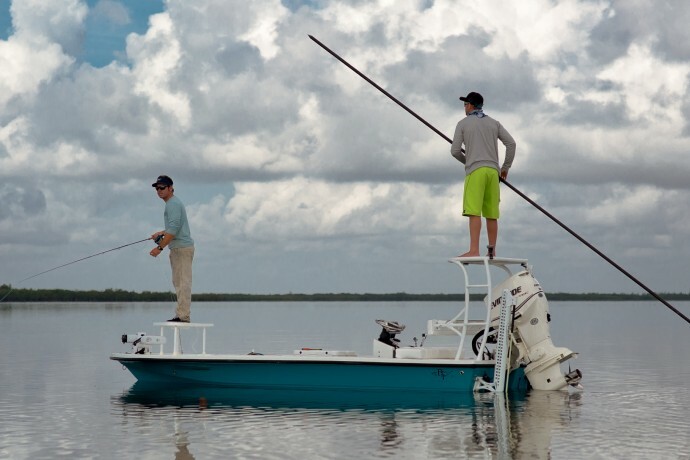 Whether stalking pothole redfish or tailing bones, the Strike will allow you to silently position and cast to wary trophy fish with two to three anglers aboard. 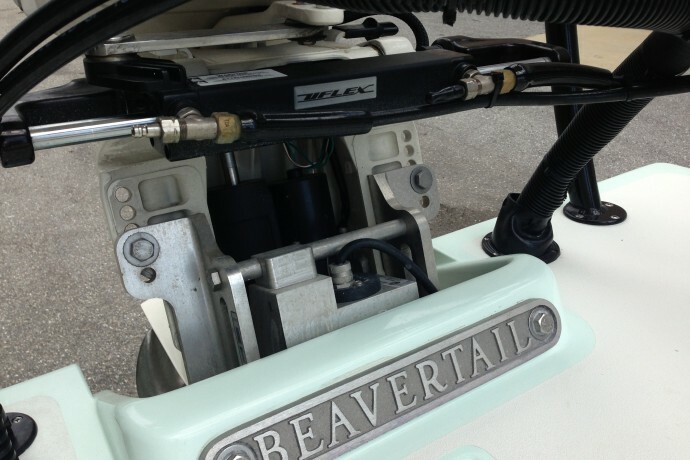 When the middle of nowhere is your destination, the Beavertail Strike is ready to take you there!